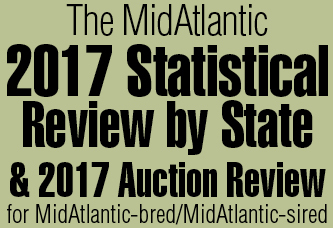 • Records fell at the third annual Eastern Fall Yearling sale at Timonium, when 100 yearlings sold for an average of $3,024, a solid increase over the previous year’s $2,400 and nearly double the first year’s sale average of $1,626. Helping prove that theory was the Hasty Road filly purchased by Jim Wiley at the Keeneland July sale for $6,200. Two months later in Maryland, she resold for $11,000. The top price of the sale was a gray colt by Abernant sold by Larry MacPhail’s Harford Stud for $12,000 to agent J.W. Dailey. • Joe Hickey Jr. visited with 86-year-old Major Goss L. Stryker, whose fascinating life with horses took him from New York (where he was born in 1877), to the Black Hills of South Dakota, the Phillippines during the Spanish-American War and an 18-year career in the Cavalry, which included tours of duty during World War I. Once he left military life behind, Major Stryker moved to Maryland in 1921–“believing the area compared most favorably to the climatic conditions he considered ideal for the raising of Thoroughbreds.” He became a director of the fledgling Maryland Horse Breeders Association in 1933 and took over as secretary-treasurer in 1936, a position he maintained 27 years later. A Thoroughbred breeder for nearly 50 years, he was excited about the new Maryland-bred Fund Program, and still owned one mare, whom he kept at his Brooke’s Cross Farm in Baldwin, Md., along with a herd of 110 Milking Shorthorn cattle. 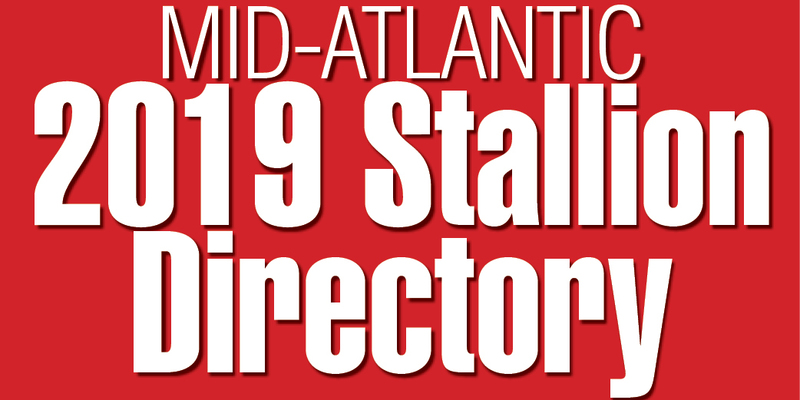 • The lastest stallion to join the Maryland ranks was Peter Fuller’s Multnomah, a three-quarter brother to the world’s leading money-winning filly Cicada. The gray son of *Mahmoud—Satsuma, by Bossuet, was to stand at Thomas R. O’Farrell’s Windy Hills Farm in Westminster. • Alfred G. Vanderbilt’s Sagamore Farm was selling a handful of well-bred broodmares at the Keeneland sale in November. Among the eight offered was Mysterious East (Polynesian—Geisha, by Discovery), a full sister to Native Dancer. The 8-year-old mare was in foal to Dark Star. The resulting foal by Dark Star (the only horse to defeat Native Dancer) was a filly named Ancient Prophecy. Although she never won, she extended her stakes-producing family tree, a branch which includes graded winners Dianes Halo (third-generation descendant) and Domestic Dispute (fourth generation).